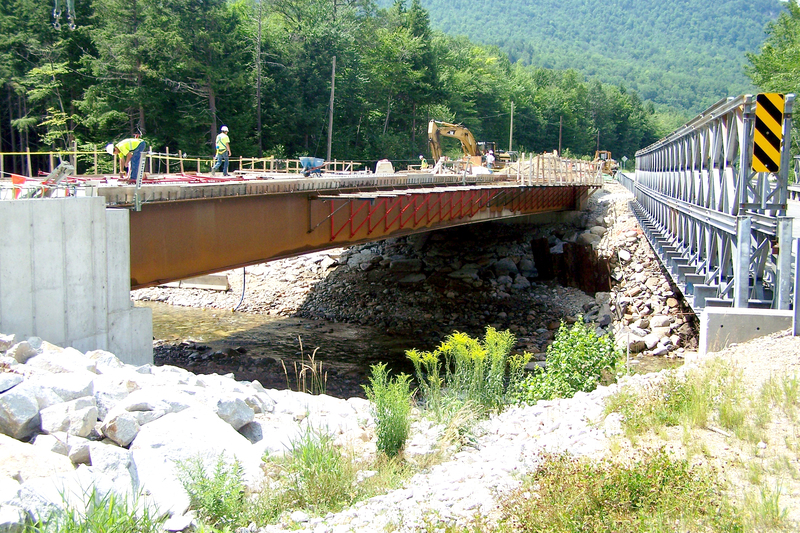 In 2011 Hurricane Irene completely destroyed the Sawyer River Bridge in Harts Location. Alvin J Coleman & Son, Inc partnered with GM2 Associates Inc (Design Enginners) and were awarded the design-build project. The main part of the project was to completely rebuild the Bridge over the Sawyer River with a new 135′ steel girder bridge. In order to accomplish this, 2 new in-river abutments needed to be constructed, set further back than the original abutments of the failed bridge. A major, phased river diversion was needed (for each separately constructed abutments ) to allow the cofferdams to be placed and the abutments poured. Large rip-rap armor protection was also placed & chinked-in to protect the abutments and the river banks on either side protect erosion and bridge failure in the future. 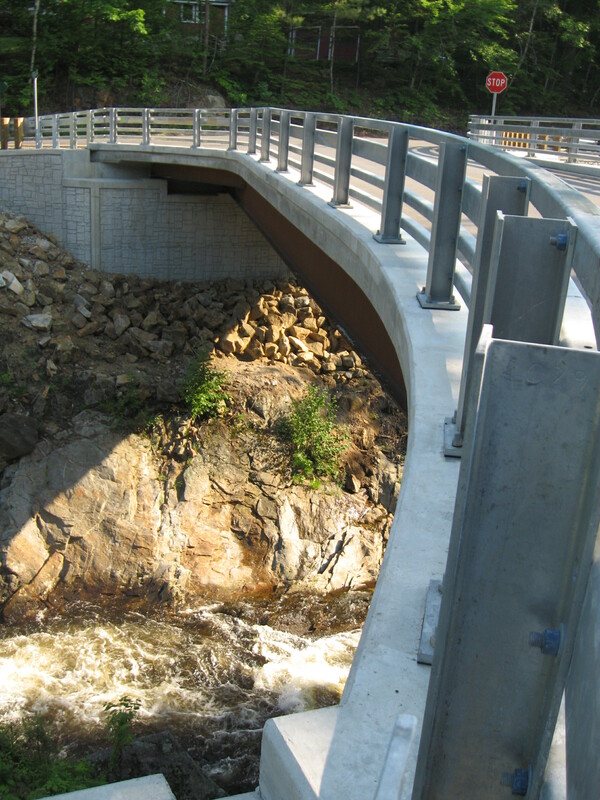 This project was a Maine Department of Transportation controlled Design-Build contract. We partnered with Eckman Engineering, LLC of Portsmouth, NH as our “designer” for the project. The bridge designed was a 75 foot span with Redi-Rock Wall engineered abutments supplied by our sister company Coleman Concrete. Additionally, the project included the design and construction of approaches and incidental road construction. Improvements to Route 25, from approximately Tamworth Town Line to Newman Drew Road include widening the existing shoulders and reclaiming and paving the traveled way. 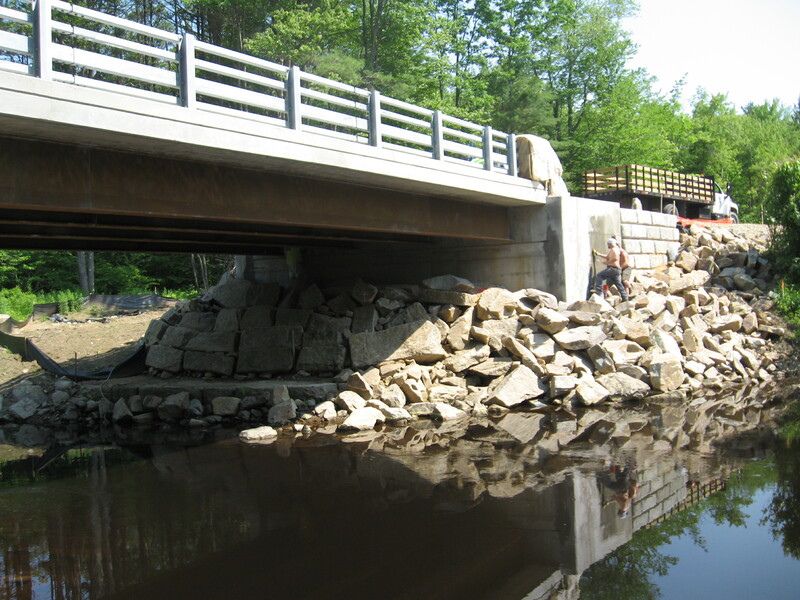 The remaining portion, from Newman Drew Road to the intersection of Route 16, consists of reconstructing the roadway including a new bridge over the Bear Camp River. Also included; sidewalks, canoe access and parking area, drainage, guardrail, and signal modifications. 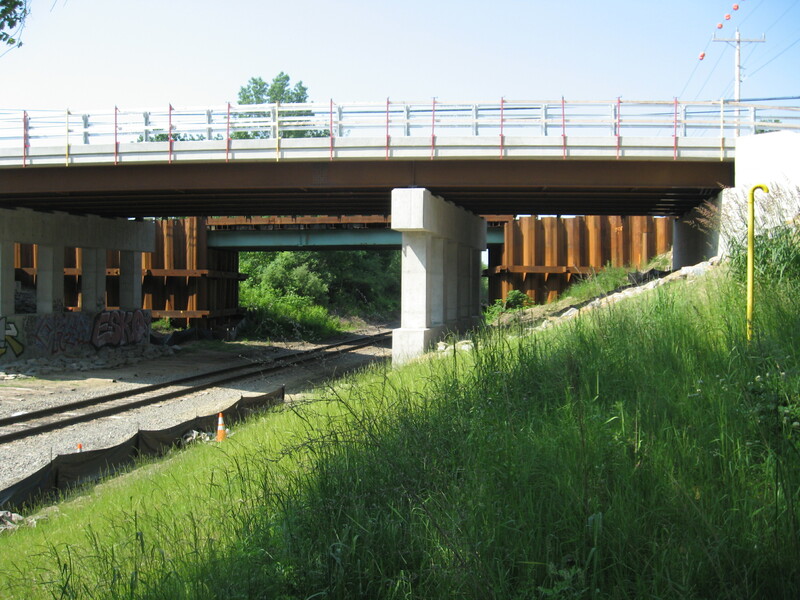 This project is located in the City of Dover on Route 9 over the Pan Am Railways, Inc. railroad. The bridge is a three-span structure composed of steel rolled beams and a reinforced concrete deck. The substructure consists of reinforced concrete piers and stub abutments supported on spread footings. This project also required the use of a temporary bridge (detour) maintaining two-way traffic during construction, along with detailed coordination with the Railway who provided their own personnel to regulate railroad construction traffic. 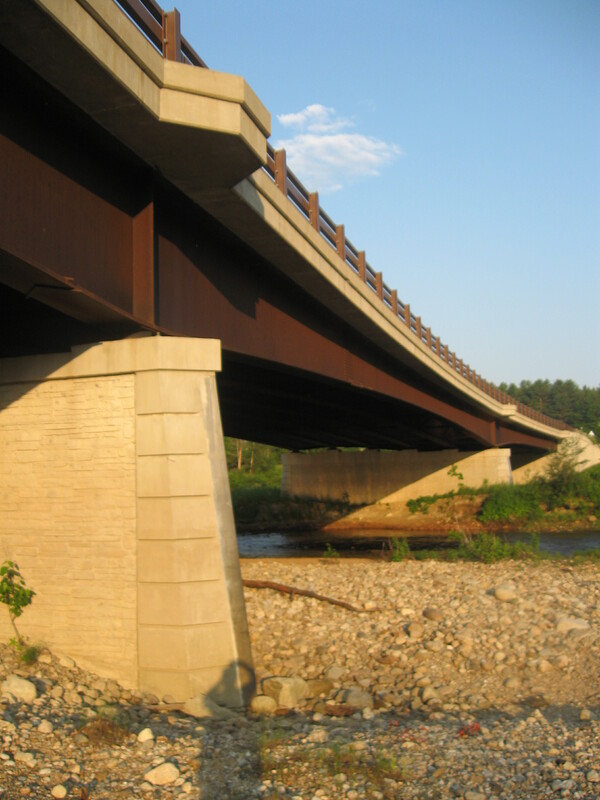 This project involves the reconstruction and widening of the Spaulding Turnpike – approximately 1.84 miles between the bridge over the Axe Handle Brook and the bridge over NH Route 202A and approximately 2850 feet of US Route 202 to accommodate six travel lanes. 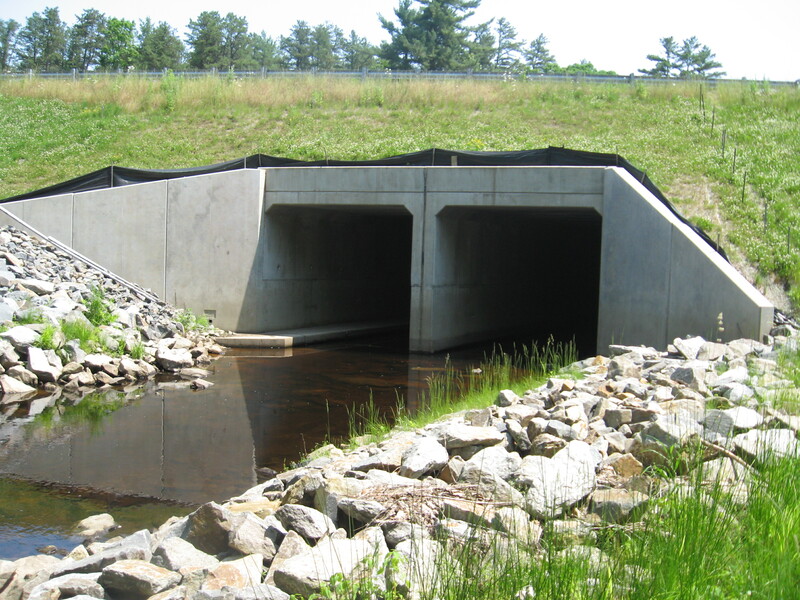 A pre-cast extension of the twin-cell box culvert was proposed to the NHDOT by Alvin J. Coleman and Son, Inc. as a Value Engineering Proposal. This proposal saved the State almost $58,000.00 and the value of this work reached nearly $400,000.00. Borough Road Bridge Replacement over the Smith River – This project proposed a unique challenge as the bridge spanned a river channel approximately 40’ deep with steep slopes that were entirely granite and provided no opportunity for close access to stage adjacent to the new bridge abutments/ect. We successfully completed the job of demolishing the existing bridge structure, steel support beams, and granite support piers and footings. A new 85 foot steel beam, precast panels and cast-in-place concrete bridge deck and pavement topping was constructed along with spread support footings and cast-in-place bridge abutments.This project included a new centerline alignment for Borough Road and associated road work, demolition of the existing bridge over the Smith River, construction of the proposed bridge, guardrail, drainage, and all other incidental work. 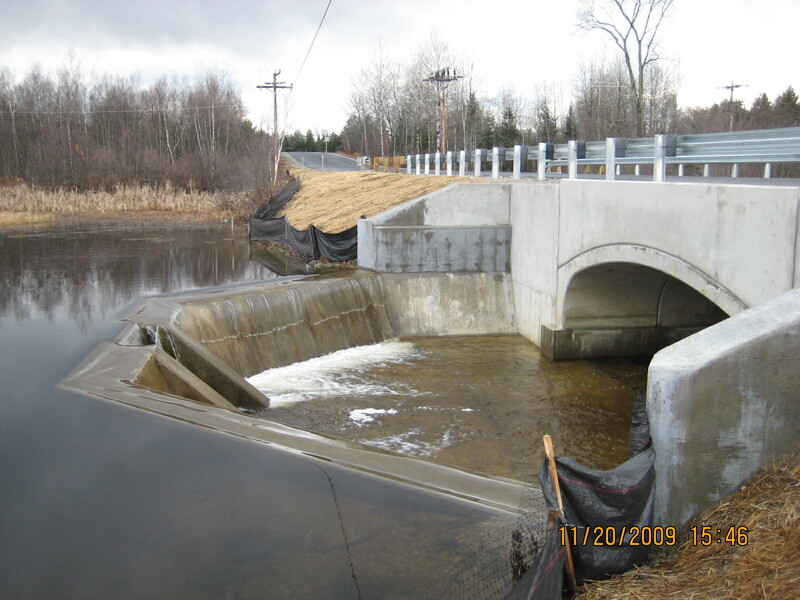 This project was located in Conway NH and consisted of the removal of existing metal plate arch culvert including headwalls; installation of temporary bridge and approaches; construction of proposed two-lane, 32’ pre-stressed butted deck beam superstructure bridge; reconstruction of stream banks; and all associated road work to match new alignment and drainage design. 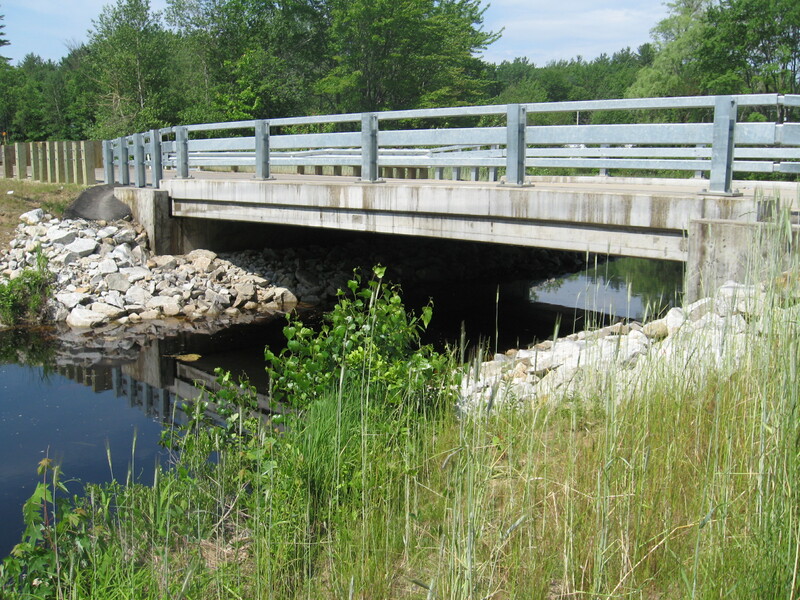 This project consisted of the demolition of existing bridge and construction of proposed precast arches and wing walls for the new bridge; dam, water diversion; cofferdams; and all associated road and approach work including guardrail. 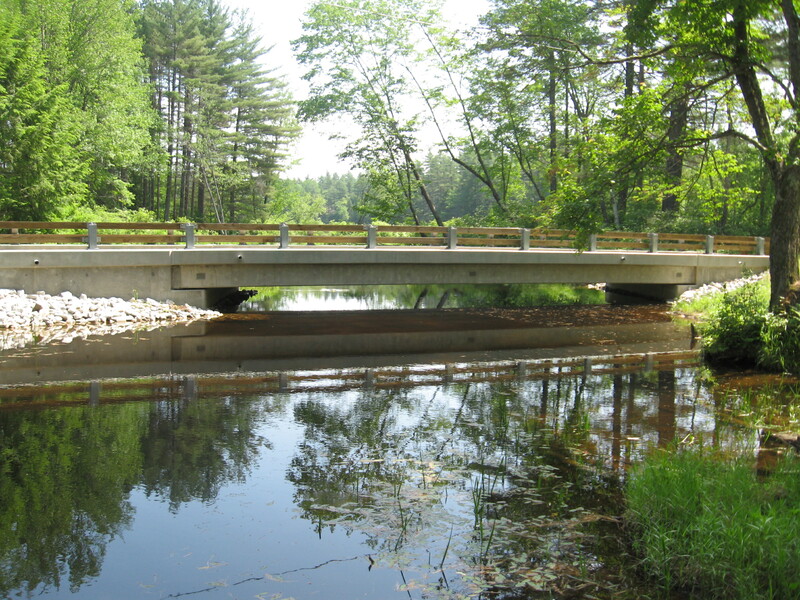 This project involves the replacement of the existing 40’ steel beam bridge with a 47’concrete structure over Conway Lake in Eaton NH. Roadway approach work limited to approximately 250’ east and west of the bridge.